It starts 93 million miles away with the sun belting out unimaginable amounts of light … visible, ultraviolet and infared. Here at home, the light bounces off the water and suddenly, we have glare. Eye strain and washed-out colors are constant, nagging problems, even when fishing on overcast days. Polarization is the solution. The polarized lens design results in amazingly clear, sharp, and glare free vision. The horizontal reflected glare is blocked by the polarizing film and overhead and reflected glare are eliminated by the options of mirror and anti-reflective coatings. The waterproof coatings of the polarized lenses shed water and snow to make cleaning a snap. Whether it be the Caribbean, the Alaskan shores, an Ozark mountain lake or grandpa's pond, serious fishermen need the ultimate in eyewear protection for maximum performance. Fishermen need to see the action on the water and below the water's surface. 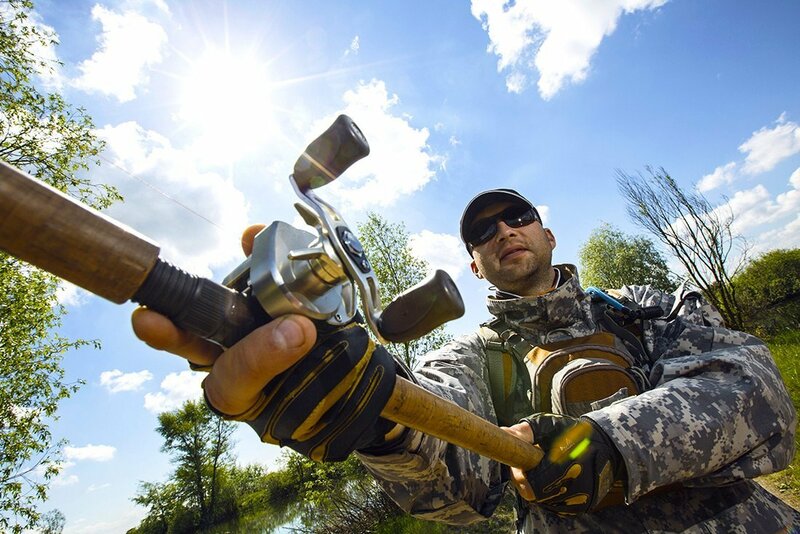 Lens color is a vital factor in choosing the perfect pair of fishing sunglasses. The proper lens color will increase fishermen's skill and improve performance. For example, in mountain stream fishing an amber or copper lens is the best because it matches the color of the brown rocky stream bottom. The closer the lens tint matches the background the more the lens will make the fish stand out. The polarized filter cuts the glare off the top of the water and the tint of the lens makes the fish stand out. No matter how avid the fishermen, whether for relaxation and enjoyment, occupationally or professionally, FramesDirect.com has the best fishing sunwear to meet every environment. We want to keep you where the fish are biting! See our Fishing Sunglasses page for some great shades for your next fishing trip. 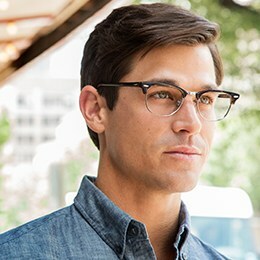 Some are available in prescription models, too.